Sea-level rise in this century is likely to be 70-120 centimeters by 2100 if greenhouse-gas emissions are not mitigated, a broad assessment of the most active scientific publishers on that topic has revealed. The 90 experts participating in the survey anticipate a median sea-level rise of 200-300 centimeters by the year 2300 for a scenario with unmitigated emissions. In contrast, for a scenario with strong emissions reductions, experts expect a sea-level rise of 40-60 centimeters by 2100 and 60-100 centimeters by 2300. The survey was conducted by a team of scientists from the USA and Germany. "While the results for the scenario with climate mitigation suggest a good chance of limiting future sea-level rise to one meter, the high emissions scenario would threaten the survival of some coastal cities and low-lying islands," says Stefan Rahmstorf from the Potsdam Institute for Climate Impact Research. "From a risk management perspective, projections of future sea-level rise are of major importance for coastal planning, and for weighing options of different levels of ambition in reducing greenhouse-gas emissions." "It this therefore useful to know what the larger community of sea-level experts thinks, and we make this transparent to the public," says lead author Benjamin Horton from the Institute of Marine and Coastal Sciences at Rutgers University in New Jersey. "We report the largest elicitation on future sea-level rise conducted from ninety objectively selected experts from 18 countries." The experts were identified from peer-reviewed literature published since 2007 using the publication database 'Web of Science' of Thomson Reuters, an online scientific indexing service, to make sure they are all active researchers in this area. 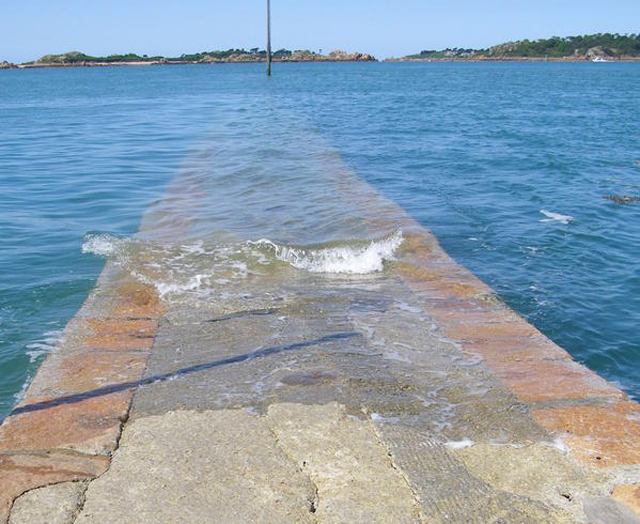 90 international experts, all of whom published at least six peer-reviewed papers on the topic of sea-level during the past 5 years, provided their probabilistic assessment. The experts were also asked for a "high-end" estimate below which they expect sea-level to stay with 95 percent certainty until the year 2100. This high-end value is relevant for coastal planning. For unmitigated emissions, half of the experts (51%) gave 1.5 meters or more and a quarter (27%) 2 meters or more. The high-end value in the year 2300 was given as 4.0 meters or higher by the majority of experts (58%). While we tend to look at projections with a focus on the relatively short period until 2100, sea-level rise will obviously not stop at that date. "Overall, the results for 2300 by the expert survey as well as the IPCC illustrate the risk that temperature increases from unmitigated emissions could commit coastal populations to a long-term, multi-meter sea-level rise," says Rahmstorf. "They do, however, illustrate also the potential for escaping such large sea-level rise through substantial reductions of emissions."